PENN BLOWS A BIG LEAD BUT RALLIES TO DOWN SACRED HEART 31-27! Ryan Glover (above) hit Christian Pearson on a late touchdown pass as Penn rallied to beat Sacred Heart 31-27. 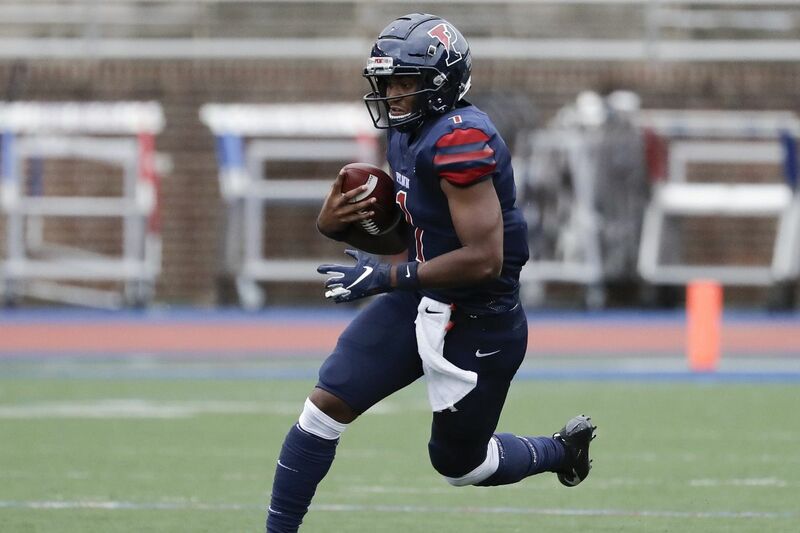 Glover completed all eight of his first half pass attempts for 103 yards and a touchdown as Penn mounted a 17-0 lead which stretched to 24-0 early in the third. Sacred Heart battled back, scoring 27 unanswered points to go ahead 27-24 after Aaron Donalson picked up a Penn fumble, returning it 21 yards for a score with 9:54 left in the game. 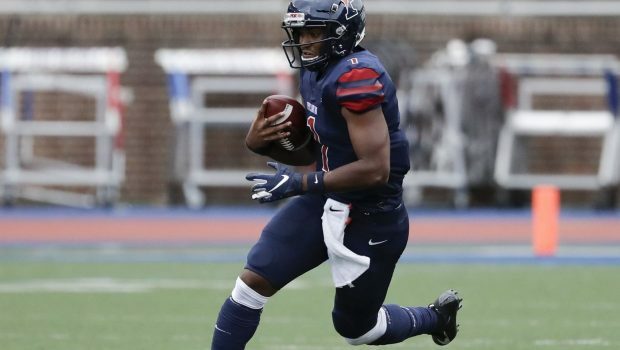 !Glover, who finished with 162 yards and two touchdowns, drove the Quakers (3-1) 87 yards for the winning score with 1:19 remaining. Karekin Brooks, who totaled 191 yards, opened the scoring with a 12-yard scamper early in the first quarter. 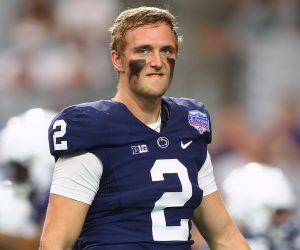 Jack Soslow added a 51-yard field goal and Glover hit Pearson on the 20-yard touchdown toss to take a 17-0 lead. Kevin Duke threw for 189 yards and a score for Sacred Heart (3-2). Previous WATCH THE UNION CLINCH A PLAYOFF SPOT AT HOME! Next MAINE STUNS NATIONALLY RANKED VILLANOVA 13-10!